With all of our countless gadgets and devices, the one thing that we always need is power. Our gadgets are charged, drained and charged again in an endless cycle. Sony has some ideas about that and they aim to make money too. By charging you for charging directly from the outlet. Sure, if you charge something at an airport, it may not cost them much, but think about how many people are charging stuff. Electric cars are becoming more prominent as well. Everything plugs in and needs a charge. Aside from costing you money, there are benefits, like smart power management. 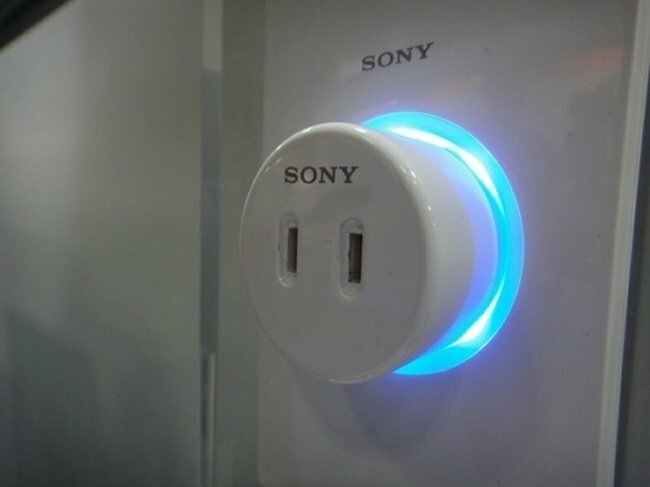 Sony is developing two different varieties of the outlets. One uses near-field communications (NFC), where the outlet can read a card in the appliance’s plug by being placed close to it. Sony uses a intermediary female to male piece which fits between the actual appliance plug and the outlet. The middle section contains the NFC card. The other version uses “RFID Over Power Line” where the information would actually be sent through the power line. They would be pretty functionally equivalent. You won’t see these anytime soon, but it will be interesting to see what Sony does from here.